Greece and the Balkans explores the cultural relationships between Greece and other Balkan countries in the domains of language, literature, thought, translation, and music, and examines issues of identity and perception among the Balkan peoples themselves. The essays bring together scholars from across a range of disciplines: historians, anthropologists, linguists and musicologists with specialists on literature, translation, the history of ideas and religion. By raising issues of cultural hybridity, and nationalist or pre-nationalist interpretations of culture and history it lays claim to a place in the context of studies on nationalism and post-colonialism. Greece and the Balkans also contributes to a recognition of the Balkans as a site, like some postcolonial ones, where identities have become fused, orientalism and eurocentrism blurred and where religion and modernity clashed and co-existed. 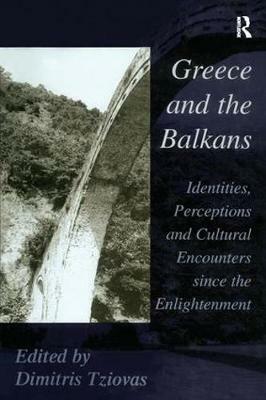 By approaching cultural encounters between Greece and the Balkans from a fresh and informed perspective, it makes a substantial contribution to the study of a rather neglected aspect in the history of a region which has suffered in the past from narrow-minded, nationalistic arguments.